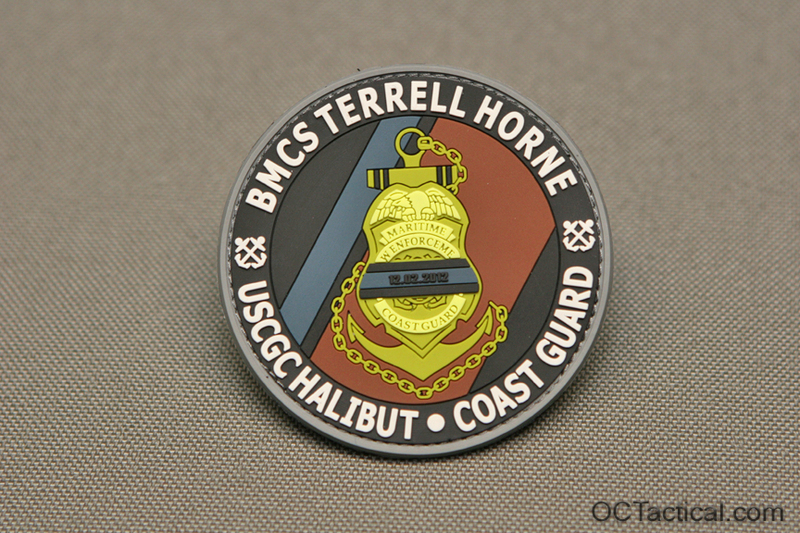 BMCS Terrell Horne III Memorial PatchOn Dec. 2, 2012, Senior Chief Horne, the Executive Petty Officer of the Coast Guard Cutter Halibut was killed while conducting maritime law enforcement operations off the coast of California. He sustained fatal injuries when the small boat he was on was rammed by a vessel being operated by smugglers. One of Horne’s final actions was to pull a fellow crew member out of the way before the smuggling vessel collided with the Coast Guard small boat. Senior Chief Horne is survived by his wife Rachel, and two sons, Kade and Miller. All the profits from the sale of these patches will be donated to The Coast Guard Foundation. The Coast Guard Foundation supports the families of fallen Coast Guardsman in times of crisis.